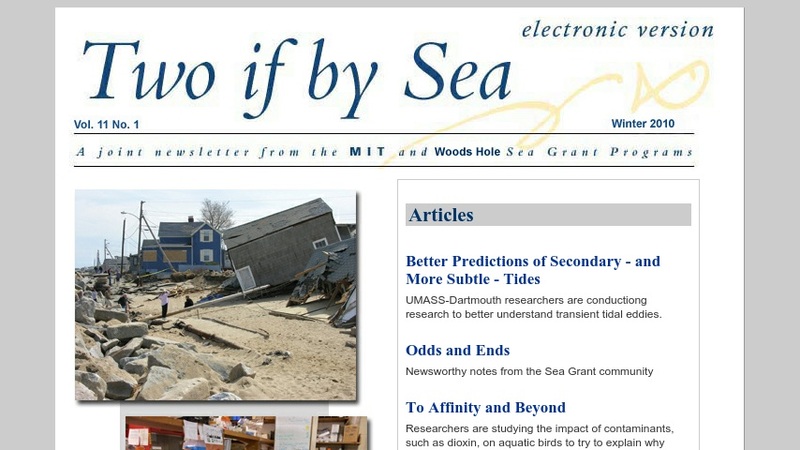 This "Two if by Sea" newsletter article highlights proceedings from a workshop in 2000 that focused on shellfish disease, particularly as it relates to the aquaculture industry. Speakers, including pathologists, growers, and industry representatives, delivered a recurring message: shellfish diseases are not only here, they are here to stay. And, most likely, they concur, additional diseases will be discovered in the future. The article discusses the following shellfish diseases: MSX (multinucleated sphere unknown), dermo (short for Dermocystidium marinus, the initial classification of the parasite that causes the disease; the parasite was later found to be of the genus Perkinsus), JOD (juvenile oyster disease), and QPX (Quahog Parasite Unknown).